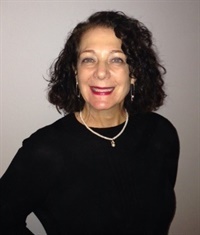 Karen Sollar entered the field of healthcare administration more than 30 years ago. During the initial phase of her career, Sollar’s focus was on internal medicine. In 1994, she served as the Practice Administrator for The Orthopaedic Group of San Francisco and moved into the role of Chief Administrative Officer for Sports Orthopedic and Rehabilitation Medical Group in 2003. In 2004, Sollar assumed the position of Chief Executive Officer for OrthoNorCal, Inc., a newly formed group consisting of 10 orthopaedic surgeons specializing in sports medicine. Sollar is currently serving as the CEO at Mt. Tam Orthopedics and Spine, a 12 physicians practice located in Larkspur, California. As a means of remaining current on industry trends, for the past six years Sollar has consistently maintained an active leadership role in the AAOE. She began her volunteer role as the chair of the membership committee and for three years served as the AAOE Annual Conference Chair.